The mission of the Community Development Department is to pursue the goals and objectives of Shorewood's Comprehensive Plan, Zoning Ordinance, Building Codes, and all other ordinances and plans aimed at fostering aesthetically pleasing developments and safe construction practices. And, to promote the growth of the Village in a manner that will not only provide its citizens with a safe and healthy environment, but also protect values and the character of the Village. The Department consists of four Divisions: Building, Code Enforcement, Economic Development, and Planning and Zoning. The Building Department is responsible for the issuance and review of all permits for construction, remodeling, additions, occupancy, demolition and signs undertaken within the Village limits. This includes the coordination of required and periodic inspections for permits, businesses and elevators. The Department also coordinates the required licensing of contractors completing work within the Village limits. The staff recommends changes to the code as necessry and desirable so that the code is kept current with advancing construction technology. Code Enforcement is responsible for enforcing ordinances relating to building codes, zoning, signage, and property maintenance. With an effective code enforcement program, the Village promotes, protects and improves the health, safety and welfare of the citizens of Shorewood. One of the primary goals of Code Enforcement is to bring to the attention of residential and business owners any existing code violations, which could have a negative impact on their neighborhood or business. The Economic Development Department actively seeks quality development in Shorewood and promotes the benefits of the VIllage to prospective businesses and residents, while assisting developers through the approval process, and retaining existing businesses. The economic development program also works collaboratively with the Shorewood Area Chamber of Commerce to further promote the business community in Shorewood. The Business License and Registration programs are held within the Department. 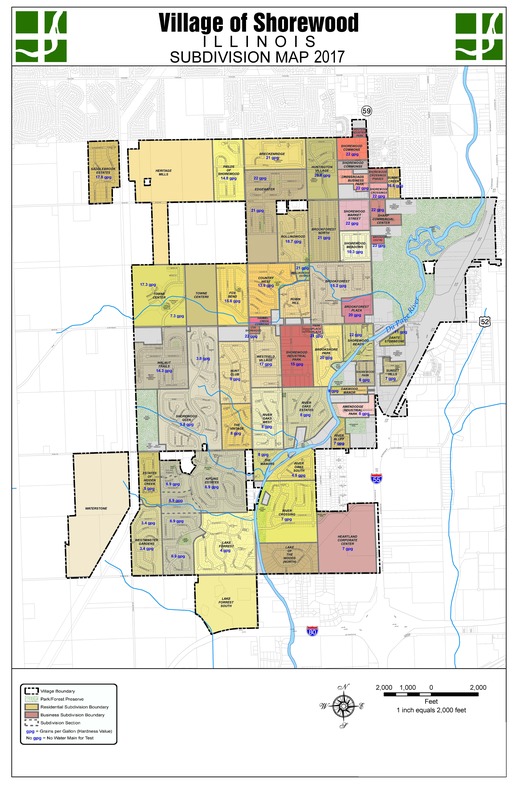 The Planning and Zoning Department applies sound planning principles to the approval process of new development within the Village while reviewing projects for compliance with Village ordinances and planning documents. The staff facilitates periodic reviews of Village ordinances and plans for effectiveness and accuracy with current trends, policies of the Village Board and guidance of the Planning and Zoning Commission. The Department also provides staff assistance to the Planning and Zoning Commission and guidance to residents with regard to zoning matters.